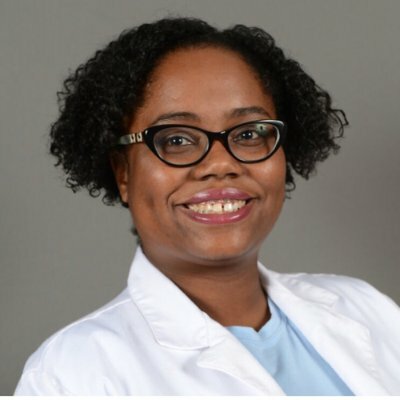 Erin J. Searles is a native of Albany, GA. She is the Director of Pharmacy for the Family Health Center at West End Pharmacy. Erin attended Spelman College where she served on freshman and senior class council, was a Spelman College ambassador, Student Orientation Leader and member of the Mu Pi Chapter of Alpha Kappa Alpha Sorority, Inc. As a Biochemistry major, she participated in numerous summer research programs. After graduating from Spelman in 2003, she began her pharmacy school career at Xavier University of Louisiana College of Pharmacy. Erin honed her leadership skills while at Xavier. She was elected President of her 1st year class, Secretary of the Xavier Chapter of the Academy of Student Pharmacists and Vice- President of her 4th year class. Erin was initiated into the Delta Eta Chapter of Kappa Psi Pharmaceutical Fraternity where she served as Secretary, Vice- President and President, and later selected as a member of Phi Lambda Sigma Pharmacy Leadership Society. After graduating, Erin worked as a retail pharmacist at both CVS/ Pharmacy and Ingles Markets from 2007-2015. Upon returning to the Atlanta area, she served in several leadership positions in the local chapter of the National Pharmaceutical Association. Erin serves the Nu Lambda Omega chapter of AKA as the Heart and Stroke Initiative Co-chair. She is a part of the steering committee for the Sister2Sister mentoring program at Spelman. Erin’s passion lies in cultivating and encouraging future health care professionals.